Dmitry really helped me at a point in my life where I was feeling stuck. Would recommend him to anyone, great teacher and amazing workshop. Thank you Drunvalo for all your hard work in getting this information for us to study and learn. Thank you Dmitry for your work in becoming a teacher and helping others nearby experience these teachings. I feel I have been searching this information my whole life, and am more complete now than I have ever been. I'm excited to see what else I can learn/remember from the School of Remembering. Dimitry was organized, enthused, and prepared with the knowledge to guide us into our hearts. He teaches from a place of love,curiosity and acceptance. The workshop was a great platform for mutually discovering the connection between science and intuition. All one needs to enjoy and expand through this course is an open mind and a willing heart. Dimitry has one of the biggest hearts we have felt in a while. Dmitry Glukhov did a amazing job at teaching and guiding me through all the lessons, I got a lot out of his class and know exactly what I need to do going forward. This is an amazing class and I recommend anyone who is searching for a teacher and an awesome experience to definitely do it. Thanks again Dmitry Glukhov! I love your peace and harmony combined with your joy, that made me feel like a very good friend who always has a wise word without judgments, where love is the only truth. My first impression of Dmitry was how approachable and unassuming he is, and how easy it is to talk with him. I can see how experienced and well-rounded he is in his ability to relate to and to understand pretty much anyone through any situation. He has a very supporting presence and a very gentle energy. He is very authentic in his interactions and always coming from the heart. It is easy to trust him and a joy to be around him. What an incredible experience, it was so magical I didn't want it to end. Dmitry and Iryna are a dynamic duo and are pure love and joy, such precious souls. They created a very safe loving environment from which to experience this life changing workshop. I highly recommend this workshop to everyone. With love and gratitude, thank you Dmitry and Iryna. Dmitry is an excellent teacher, so aware; teaches in such a way that is gentle and allows the process to expand beyond anything you could have imagined. This class is transformational from judgment to love and understanding, in four days. It was an amazing adventure. Thank you again! This class exceeded way beyond my expectations, it was truly a magical experience! Thank you Dmitry!!! This has changed my life forever!. The Healing you and Iryna provided was amazing, I can hardly express with words, other than the ultimate experience in this lifetime!!! You are doing exactly what you should be doing!! You are an amazing teacher you change peoples lives for the better!!! Love, Love Love you!!! Debbie D.
Dmitry was a great teacher. He was very welcoming and kind and easy to understand. This workshop was a life-changing experience. The intention of everyone present was so divine that every moment was a lesson (even if it was not part of the \"curriculum\"!). Dmitry was so gentle and loving. Because of past trauma, it was very healing for me to work with such a gentle and positive Man. He is such a fine role-model of the Superior Man. I felt completely safe and inspired. I love him dearly. Thank you for your warmth and wisdom! This was an amazing workshop and I'm so glad to have been a part of it. My life will be forever brighter, happier, and full of more love. Just when I think life is as good as it gets...it gets better! I highly recommend this workshop. Be prepared to love life! What a powerful class! Thank you Dmitry for holding space and for your enthusiasm in sharing this sacred knowledge! Dmitry is loving and gentle. He was a peaceful presence who helped illuminate details and who was excellent at explaining the masculine approaches and perspectives. Thank you! I found what I was searching for. Recommend it to all. Dmitry's passion and control of the subject matter was obvious and infectious. Additionally, he demonstrated an ability to connect with me and other attendees all while conveying the information in manner that made it a \"fun\" experience. I wouldnt hesitate to recommend him to anyone who is looking to attend workshop. This class so really wonderful! Dmitry and Iryna worked really well together. Dmitry is so good at explaining things and giving analogies to help you understand the teachings they are conveying. It's great to have the male and female represented in the workshop.Happy people all the way around. This workshop was one of the best spiritual workshops I have been to. The teachers were informative, kind, considerate and so welcoming. I also loved the atmosphere and the venue. I recommend it to everyone seeking to understand and reconnect with the most intimate part of self and it is definitely about remembering who we are and why are we here. Fantastic, warm and welcoming! Would recommend for sure. Iryna and Dmitry were very welcoming and beautiful teachers. I feel like I've gained so much from this workshop and they have definitely helped me a lot in learning (remembering :)). There was lots of guidance and I felt lots of help from them. I am glad I attended the workshop and met them :) Thank you so much Iryna and Dmitry! I am looking forward to meeting you soon again! I absolutely loved the experiences I had during these classes. I am so excited to take the course all over again! Dmitry is a very warm and kind teacher. I enjoy talking with him and listening to different perspectives he had on things. I felt very safe and accepted to share my experiences with the class. It was one of the most profound and beautiful events I have ever attended. Thank you! Dimitri thank you so much for your wisdom and clarity. Dimtri was an excellent support and guide with perfect timing in facilitating the process of learning and experiencing the Illumination of our hearts. He is a master of the technological part of the program and a beautiful soul. I highly recommend this course to anyone with complete confidence. A complete and total return to who we really are presented with a knowingness that only comes from living in the heart. This workshop was everything it claimed to be and more . Total JOY was felt by all who attended ! Profound... Exciting....Perfect! Dmitry is a kind and compassionate soul. He radiates love and acceptance. He was less involved in delivering the information but in total support and in clarifying. He brings a deep understanding of the love and light through his presence and unwendding support, warmth, humor and kindness . This instructor was very easy to make a loving connection with. He was very loving and ready to help you with anything you needed. The class was very comfortable and you could feel his desire for you to go through the material and each meditation successfully. Thank you! 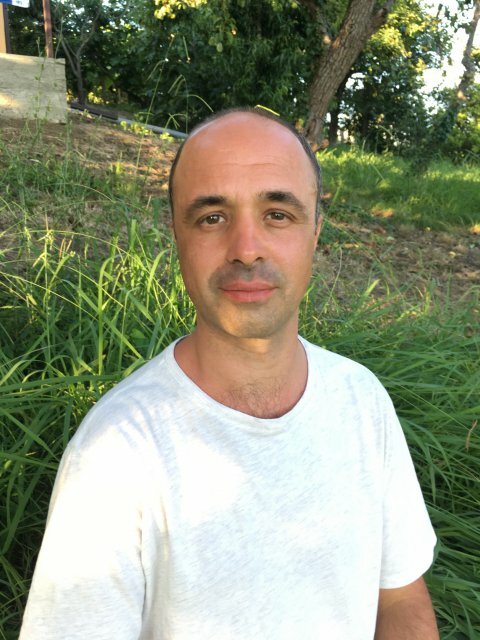 Dmitry has a wonderful way of presenting the information and an experiential knowledge of the materials.He is a delight to be around and teaches with great joy and love! Dmitry not only knows his \"stuff\" he lives it !!! I have attended numerous workshops over the years and this has been the best ! Thanks Dmitry! It was a pleasure to met Dmitry and take the workshop from him here in Dallas. Thank you. We all loved Dimitry! He was great. What an open heart & loving being.